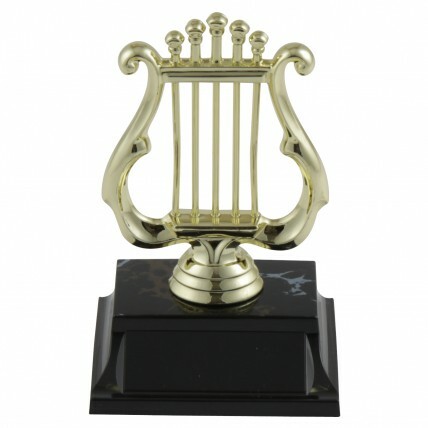 Our classical Basic Lyre Trophy is a great way to acknowledge any accomplishment in the arts. 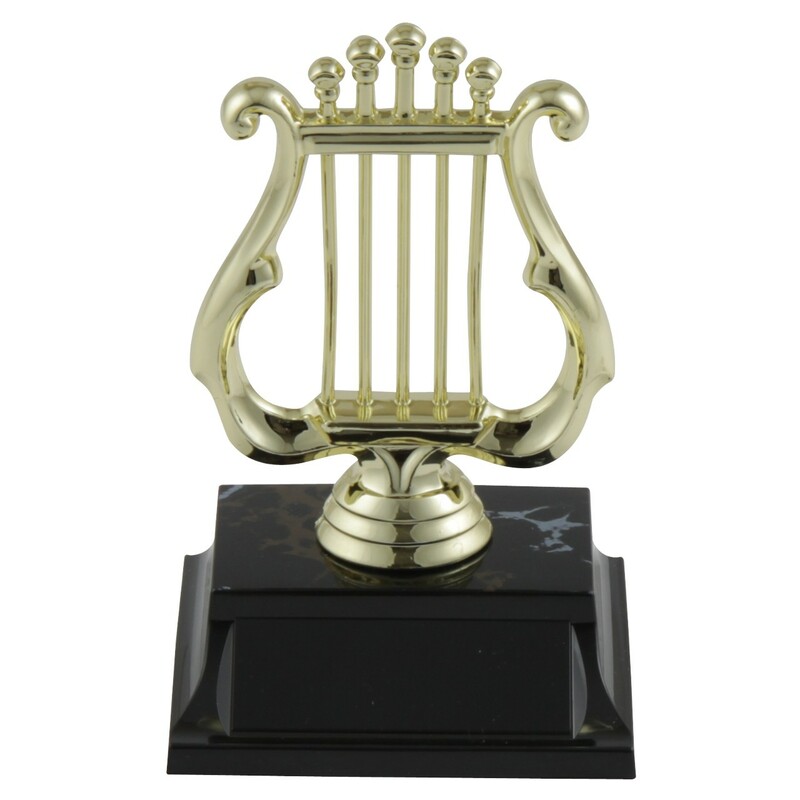 It features a golden lyre figure attached to an engraved base (black marble-grain base is pictured). 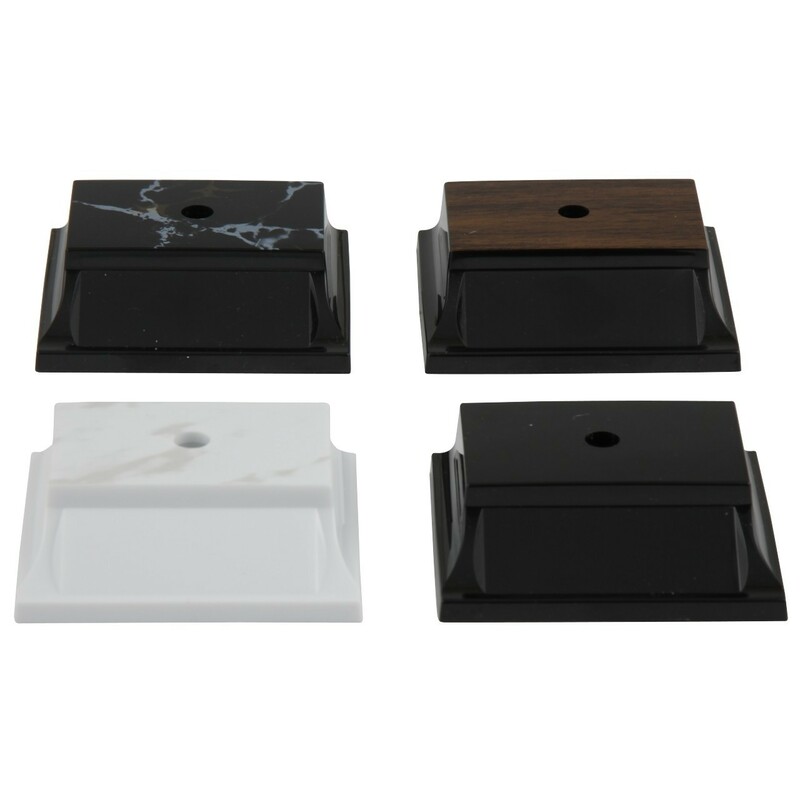 Includes 3 lines of engraving plus your choice of base color.